We all know how bad the air can smell in the downtown area of a major city and that is even true in clean living Switzerland. 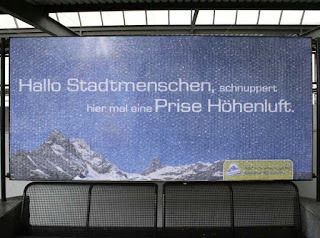 To lure people up into the mountains, the car-free town of Braunwald in Switzerland installed interactive billboards of sorts in various Swiss cities to let "city people smell the air up there." Plus popping bubble wrap is too much fun in itself.